“Small can be big” is something we’ve all heard before. Not only can each small choice lead to big accomplishments in our lives, but when you look around you’ll see that many of the products that help you along the way are brought to you by small businesses. Small businesses whose very purpose is to support the big, hairy, audacious goals you’ve set for yourself. 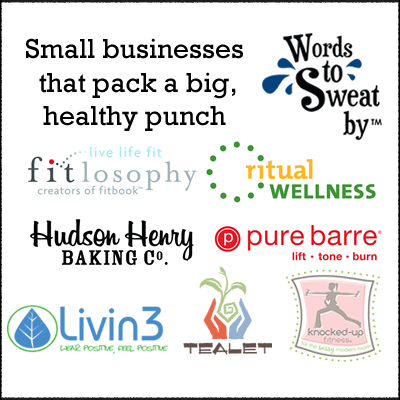 And even though these small businesses help you pack a big, healthy punch they often go unnoticed because of the international brands holding much bigger megaphones. 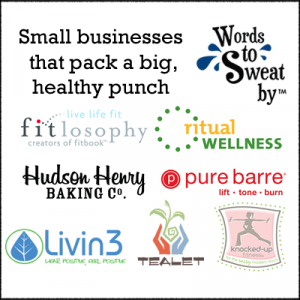 So as we lead up to Small Business Saturday on November 30, I wanted to introduce you to seven awesome small businesses who are doing big things in the health and fitness world. Not only will I do a detailed feature of each one of them throughout the month, but together we’ve created a giveaway like no other! The details of the products included in the giveaway valued over $600 are explained below. $100 gift certificate from Words to Sweat by. Two (2) bags of small batch granola from Hudson Henry Baking Co. 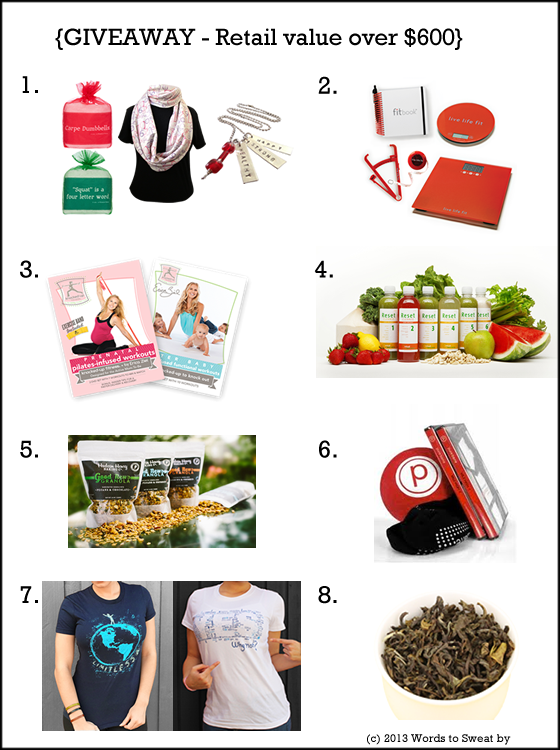 Pure Barre workout & accessories gift pack (non-residents) or one (1) month unlimited Pure Barre classes if winner is close to Newport Beach or Mission Viejo, CA. One (1) graphic t-shirt from Livin3 Clothing. One (1) Global Tea taster pack from Tealet. Dang, those are some good prizes. And I am a small biz shopper all the time. Not a fan of chains.